Please select option for TEE WC COYOTES S18 . Please select option for TEE WC DAD S18. Unisex sizing, light grey, with metallic gold and white lettering. 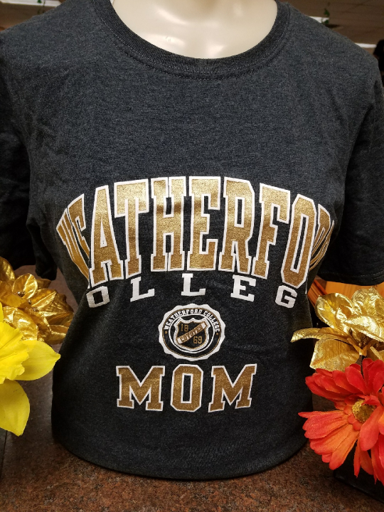 Please select option for TEE WC MOM F17. 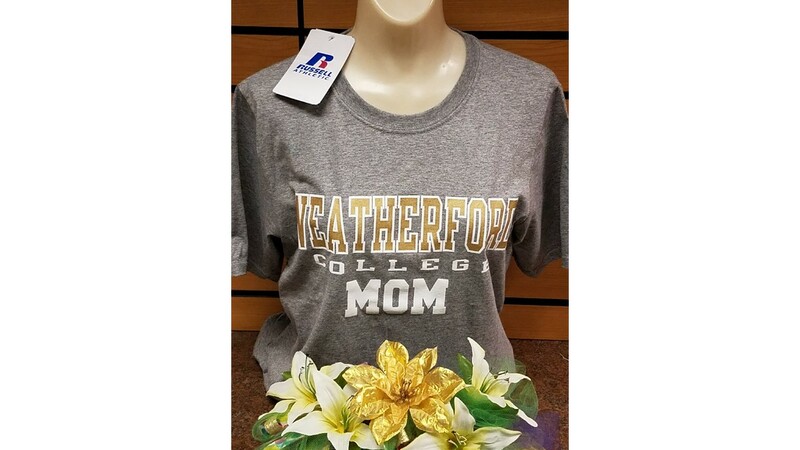 Please select option for TEE WC MOM S18. Unisex sizes. Within the wording is textured with puffy stethoscope shapes. 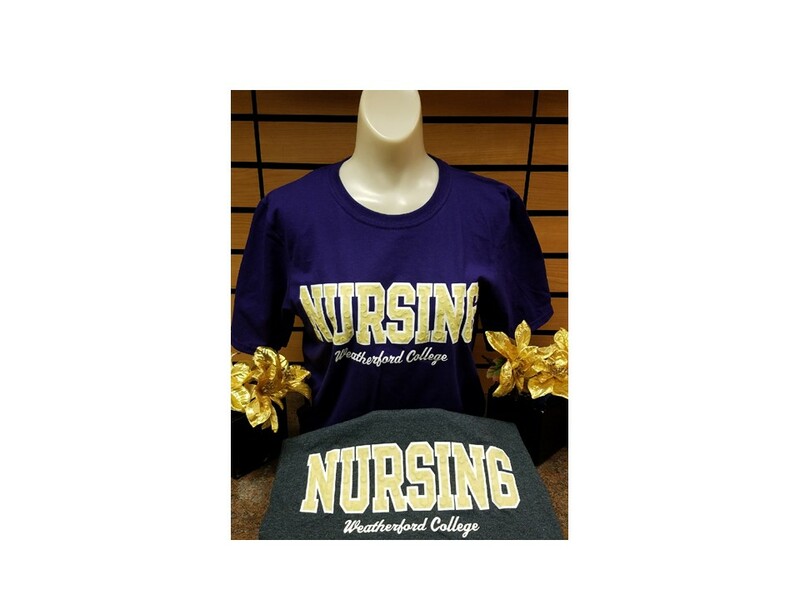 Please select option for TEE WC NURSING PUFF S18. 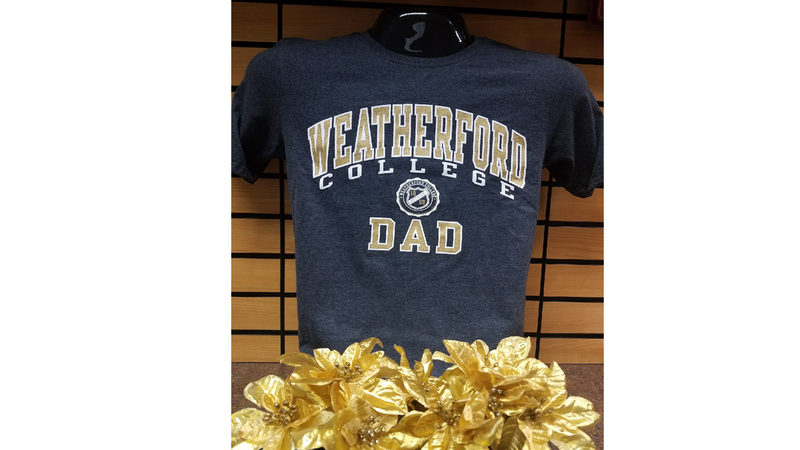 Navy blue tee, unisex sizing White lettering, with shimmery gold filler within the word "Weatherford". 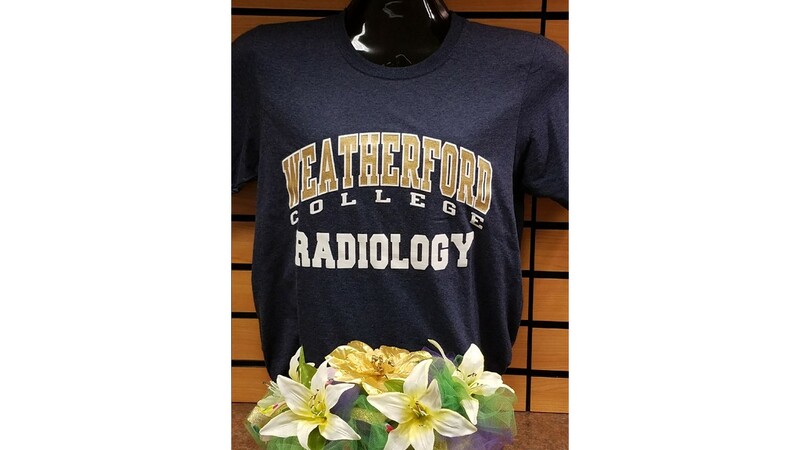 Please select option for TEE WC RADIOLOGY F17. Unisex sizes. Black lettering with gold outline. 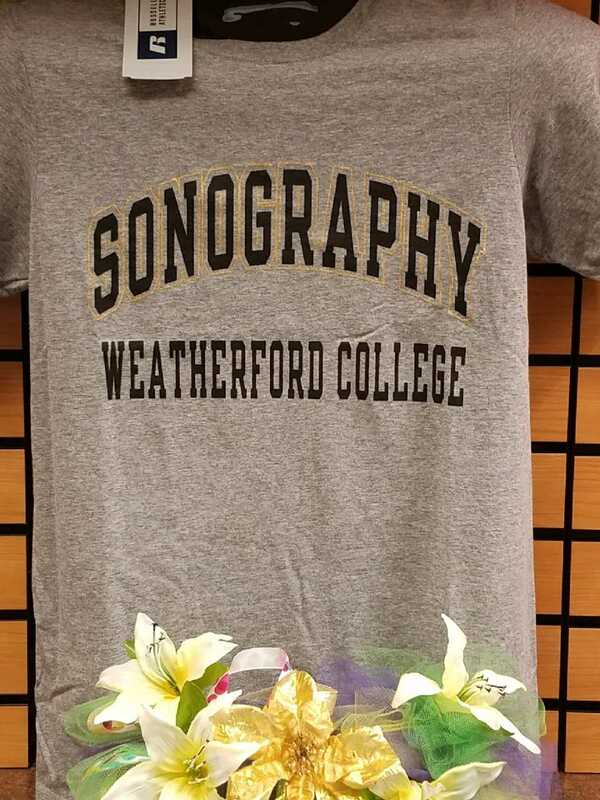 Please select option for TEE WC SONOGRAPHY S18. 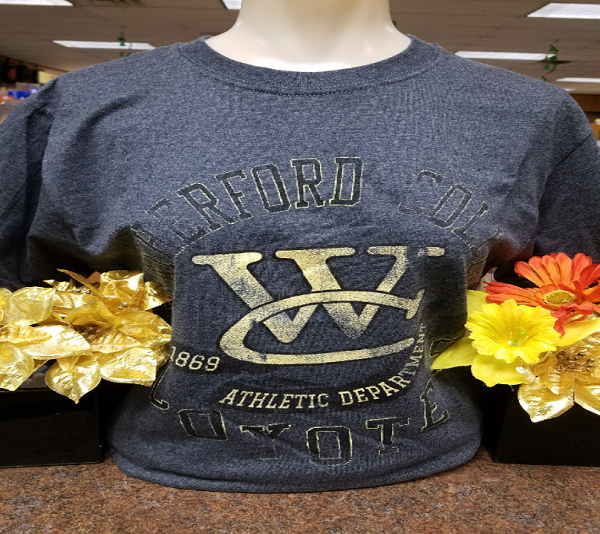 Please select option for TEE-WC-ATHLETIC DEPT-CHAR. Please select option for TEE-WC-NURSING SCRIPT . 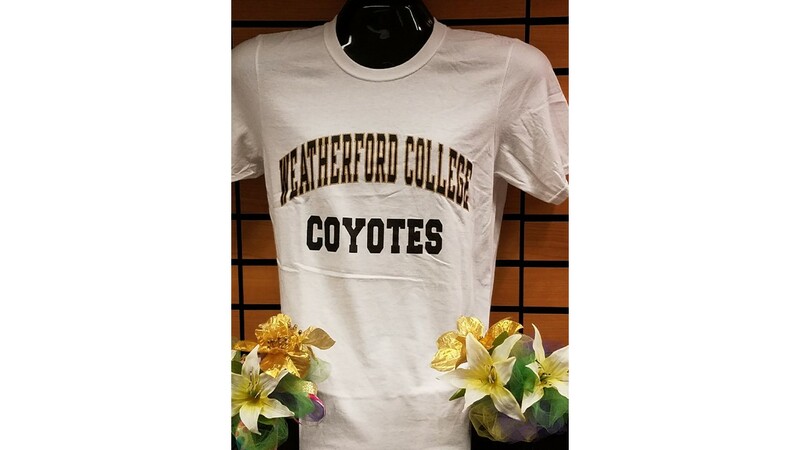 Please select option for Weatherford College Coyote Eyes T-Shirt.